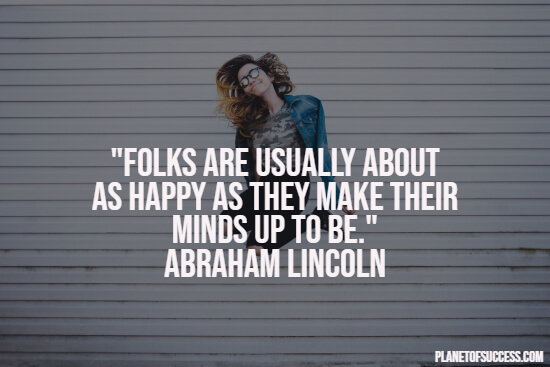 Are you sometimes struggling with being happy? 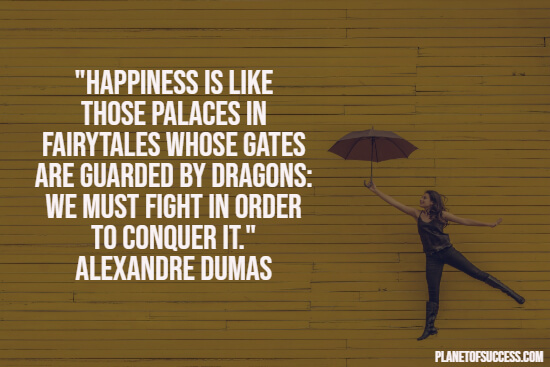 Happiness is one of the most important keys to a successful and fulfilled life. By deeply understanding what it is that makes you happy and how you can boost your well-being, you can profoundly change your life. 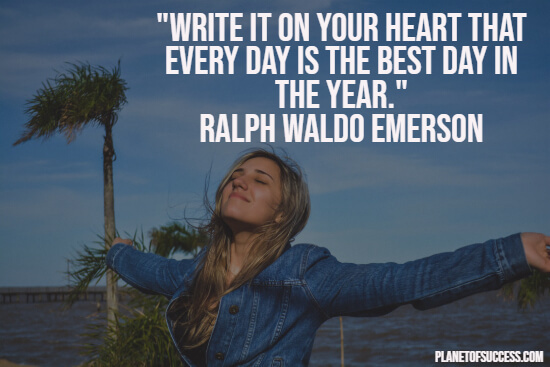 That’s where our list of happy quotes comes in quite handy, as it gives you some great inspiration for creating a lifestyle full of happiness. And if you want to learn more about being happy, have a look at our explanation of why happiness is the foundation of life. Do you know what triggers your happiness? Being joyful and content is relatively easy when everything is going well. However, being able to trigger your happiness during difficult times can make a big difference. It can help you to keep pushing ahead even though the going gets tough. 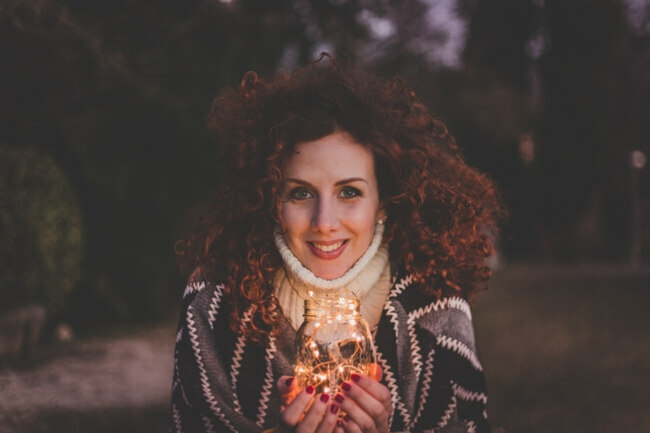 For instance, a study conducted by scientists of the University of Kentucky found that happiness and longevity are closely linked with each other. The researchers investigated the lives of 180 nuns and found that 90% of the happiest nuns lived to the age of eighty-five or longer, while only 34% of the least content nuns reached this age. 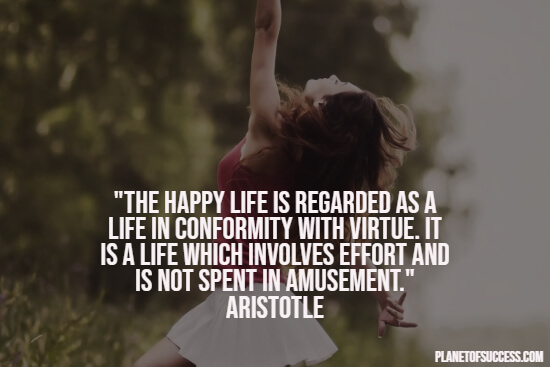 Throughout the ages, philosophers, scientists, and poets have pondered on what it is that makes us happy. Interestingly enough, many of them found powerful ways of creating and maintaining happy and grateful lives. 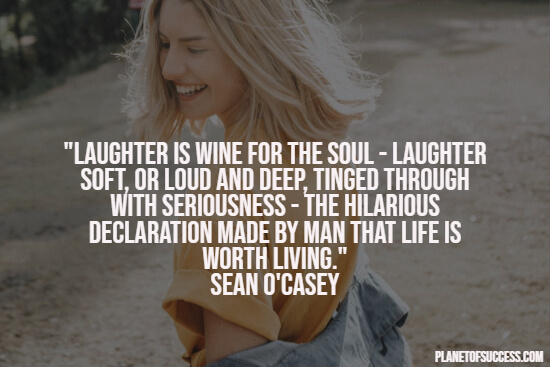 In the following list of inspirational happy quotes, you can find the most powerful insights on happiness that people have uncovered during their lives. I hope you enjoyed this collection of inspirational happy quotes.